Aesop Hand Balm: Niche Journal! My first review is up on Niche website! I tried the amazingly moisturizing and fast-absorbing Aesop Resurrection Aromatique Hand Balm while searching for a product to keep my hands soft and hydrated during the cold winter season. It is a dream come true for everyone looking for a non-greasy, deep moisture! Check out the full review HERE! This is the last part of the "Back to School" series: and a very important one. Sitting at school all day is exhausting and certainly very dehydrating for our body and skin. I don't like to buy packaged water, I always bring my own water bottle and refill it multiple times a day. From the outside, I like to hydrate with Josie Maran Infinity Cream infused with argan oil, which I find to be a miracle ingredient! Argan oil may be used for skin and hair, and it perfectly balances out moisture levels. 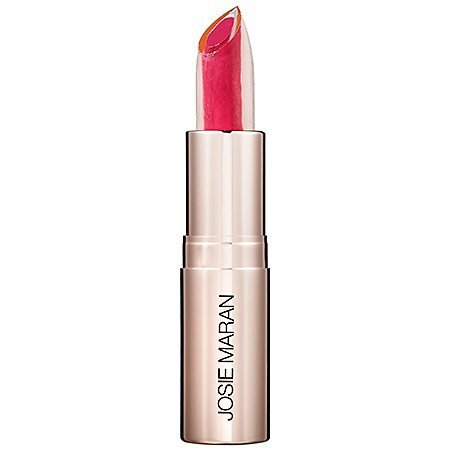 Most of Josie Maran's products contain argan oil– so does the Argan Love Your Lips Hydrating Lipstick"- which is a color-tinted lipstick in the middle enveloped by a moisturizing argan oil lip treatment. With this product, you get a little bit of a color with a moisturized feel! 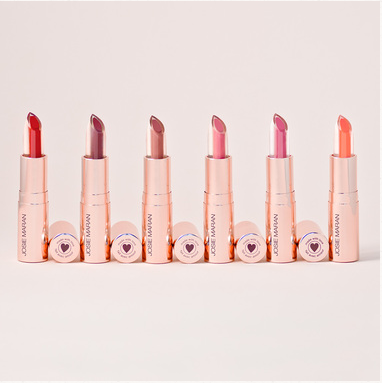 The whole lineup of Josie Maran's Argan Lipsticks! I usually wear minimal makeup at school, just a little mascara and a blush. I love this MAKE UP FOR EVER Sculpting Kit (you can see me wearing it in this post!) 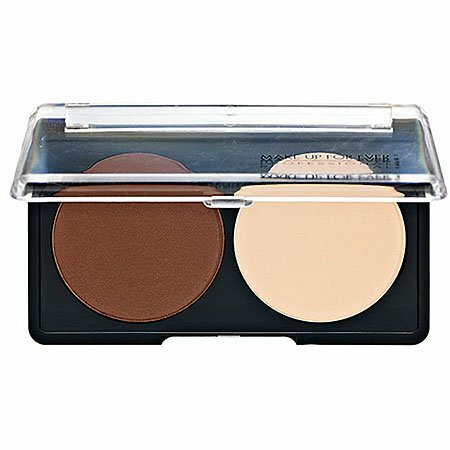 With two colors in a set (you can choose a lighter or a darker version) you mix and blend until you achieve your desired shade and strength of contour. With this set I also purchased a good large contouring brush. 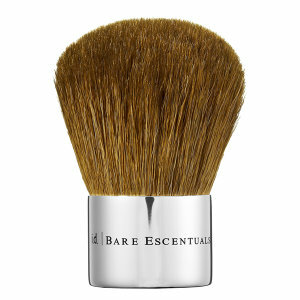 I have to say that application of contouring powder (or a blush) is SO MUCH easier with a nice large brush like this! 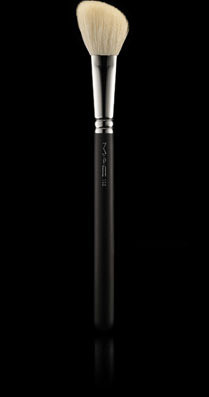 The evenness of application doesn't rival small size brushes– until recently I have been using only this small Kabuki brush, and I can see the difference right away- the result looks so much more professional (I like the little brush for travelling though, it can work for application of translucent powder and a blush as well). And lastly, Bobbi Brown Beach Fragrance is a nice way to prolong memories of enjoyable, warm, sunny days! I found an interesting new product: MAKE UP FOR EVER Face & Body Liquid Makeup. What fascinated me at first was the consistency of it, which was very different from any other foundations I'm familiar with. It looked like a liquid-y pudding. The makeup in the half-used display bottles didn't really stick to the glass on the inside of the containers. It's Saturday afternoon, and I had (not unlike many people) a long night. Even though I don't party or stay up late too often (I love my sleep! ), I am very precautious about how I prepare and execute my nights out to prevent non-productive, hungover days. You don't have to be a fashion model in order for your hair to suffer–in fact, I know many people who style their hair (in their everyday life) way more than I do. Many of us benefit from some love of our hair, but what products are good for us?